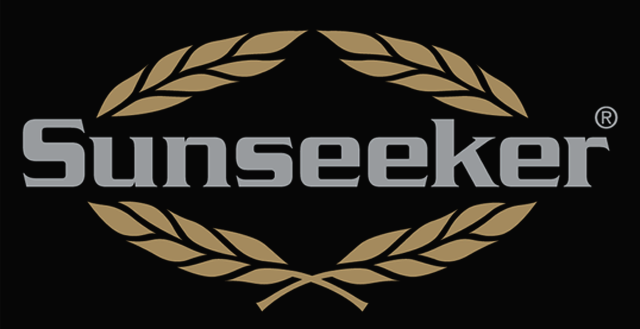 The Sunseeker project and how it got all got started. 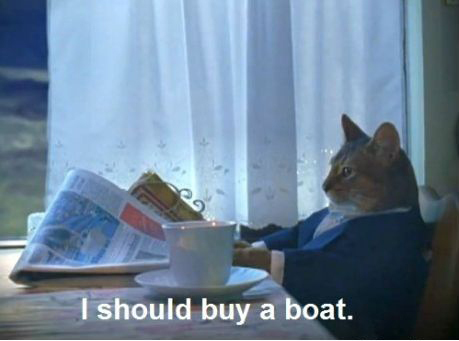 This was pretty much what went through my mind when I experienced my friends new (old) boat last summer (2011). Damn, it was so much fun! It was something I had dreamed about for a while. 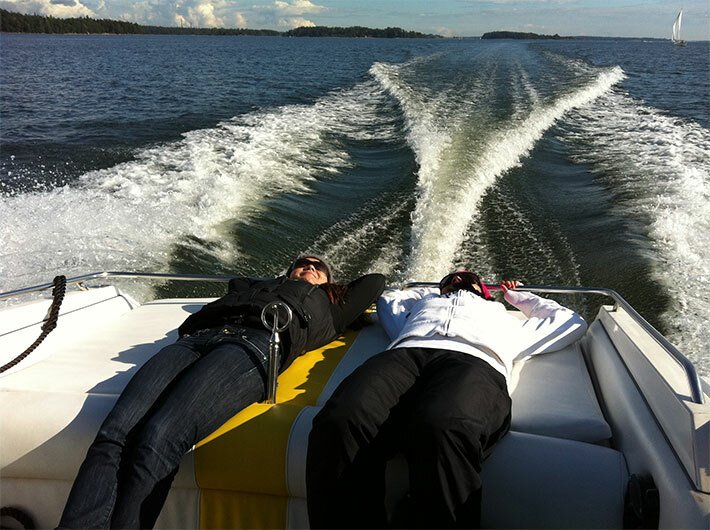 What better way to enjoy our beautiful nature than a boat. 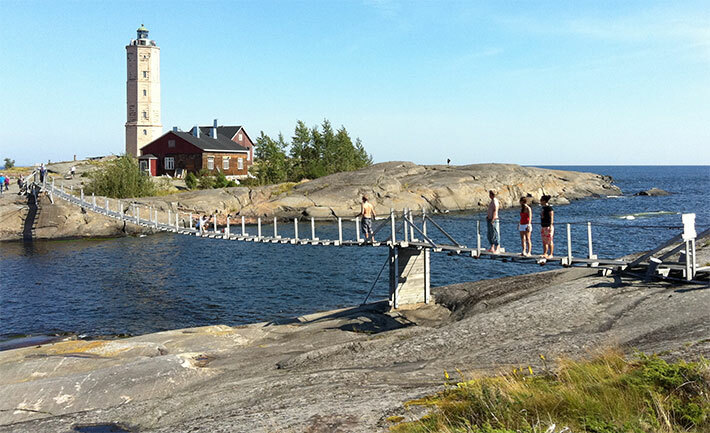 We have some of the greatest little islands and sea front here in Helsinki. Tons to see and cruise around. I have done a fair share of boating since first grade, but I have never owned my own boat. I had set my mind – in a few years I should buy a boat of my own. Well, “that year” came a bit sooner than I had planned. So, my friends bought this 1988 Sunseeker Mustang 20 [21’6″ or 665 cm in length] in the summer of 2011. The two guys had plans to cruise the first summer and then do some cosmetic work during the next winter & spring. The boat was in pretty nice shape for a ’88 model. 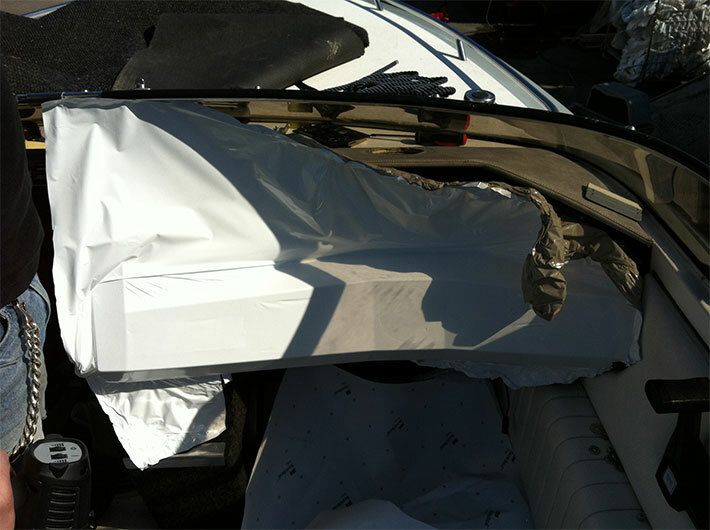 The previous owner had swapped in a new 2010-model GM 5,7 litre (350 cid) V8 engine and had done some upholstery-work too, things like the seats and rear sunbed. At some point in it’s life the boat has also been painted with new yellow/gray theme. Basically the boat was a nice & sound little day cruiser with a lot of new mechanical parts, it just needed little work & TLC to get it to shine again. 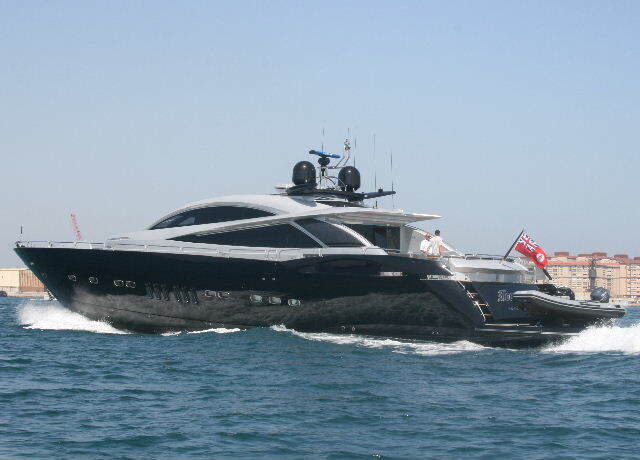 After all, this was a rare little beast made by the “Rolls Royce” of luxury boats – Sunseeker. Now, even if you don’t know anything about boats you may have seen these beauties around the world. 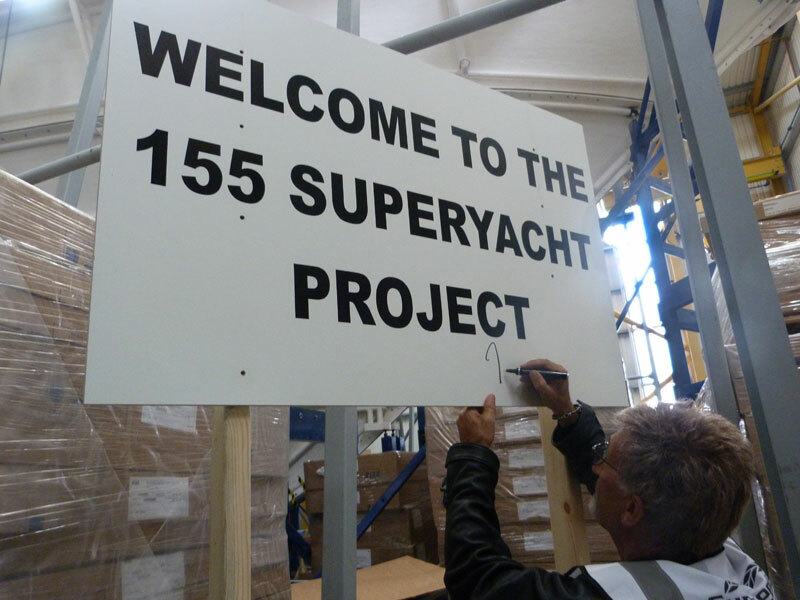 Sunseeker, Superyacht 155 ft – Eddie Jordan’s mega yacht. Back in the days, Sunseeker wasn’t that big of a boat company and they made only few of these Mustangs, from 1986 to 1993. There aren’t many made that’s for sure. 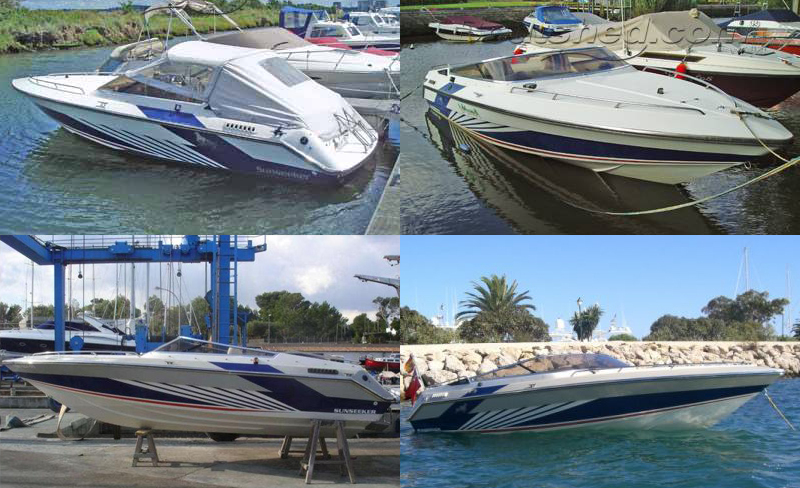 We don’t know the exact number, but by contacting Sunseeker & searching around we only managed to find a few examples. One in Mallorca, one in Monaco, and the one that is currently in Norway that got shipped from St. Tropez. Of course there are few in England around Poole – the home town of the Sunseeker factory. 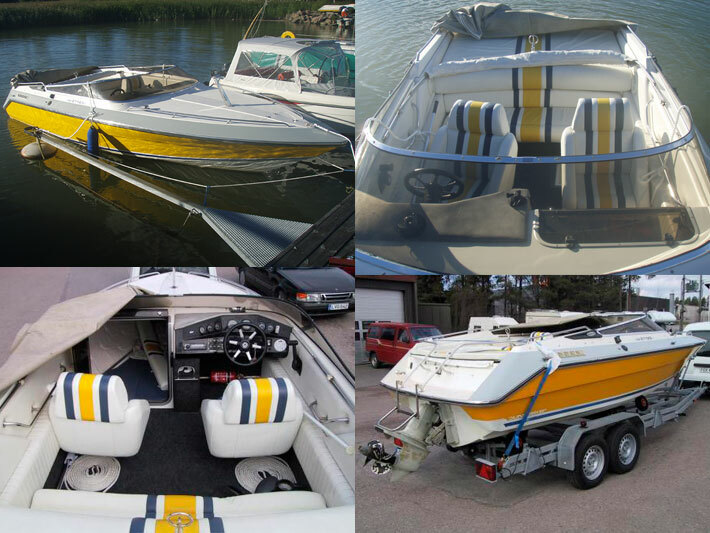 Here’s some pics of how our boat looked when it left the factory back in 1988 – very “futuristic 90’s” livery, hah. The years went past and the boat somehow found its way to Finland. It lived happily in the lakes near Järvenpää & Mikkeli for most of its life and it didn’t see any horrible antifouling-paint, as it was stationed in fresh water for most of it’s life. During that time the boat was given a new look. The upper part of the boat was left white, as it had been but above the rub rail it was painted light gray and below mustard yellow. It still had the original interior. In 2009-2010 the previous owner installed a new engine. Factory fresh GM 5,7 l (350 cid) V8 with a pair of custom steinless steel exhaust pipes and Vetus transom exhaust connections. 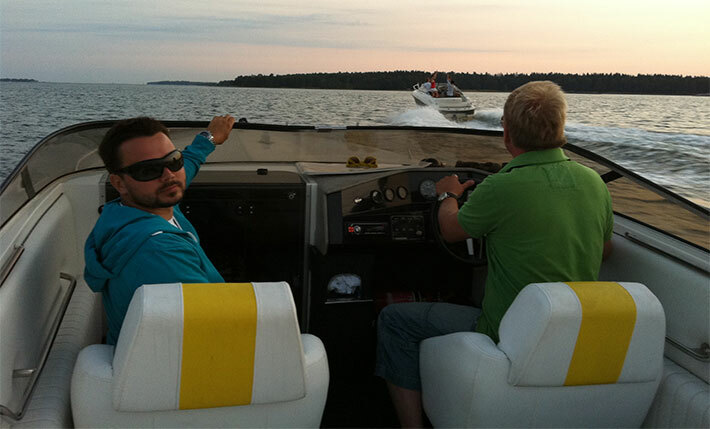 Around 2011 the interior was also reupholstered (sundeck, rear & front seats) with white & bright yellow. The blue stripes were disregarded at this point. At the same time the front navigation light (tower model) was changed for a smoother looking one. It now featured black Sunseeker decals on the side. This is where my buddies stepped in. 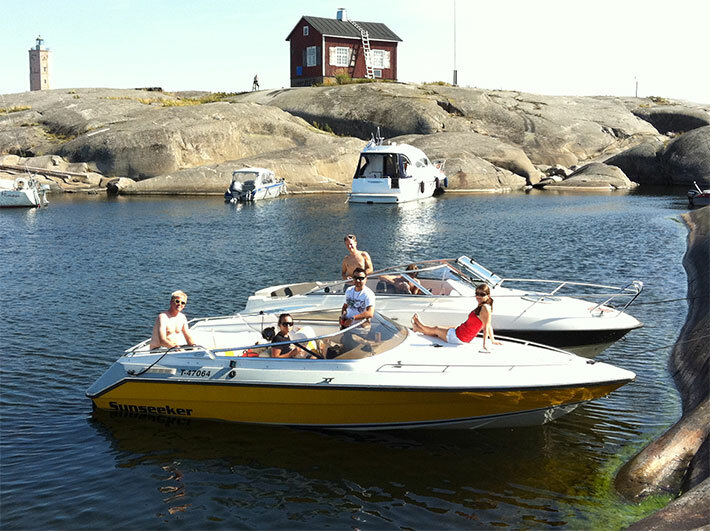 They bought the boat during mid summer 2011. We had great trips together with this little beast, named tongue in cheek after it’s bigger cousines – the Sunseeker Predator -series. Here’s Lil’ Predator at the Söderskär light house. 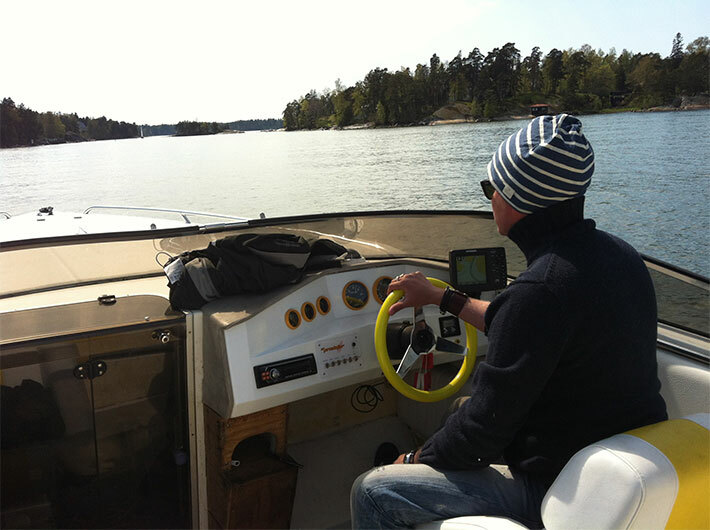 This trip really made my mind – I defo needed a boat! The roar of the V8 straight pipes, the speed & the fun. I was sold. Along came the winter and spring of 2012. 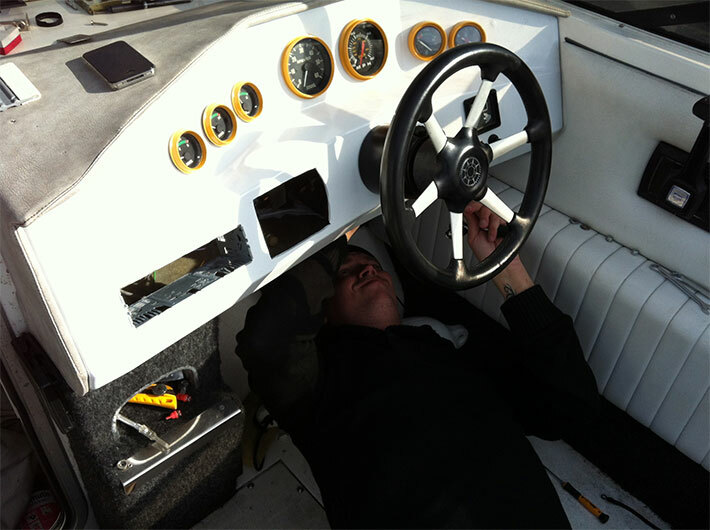 I helped my friends with a little maintenance work on the boat. The boat got new carpets redone in light gray, the dash console was wrapped white. The black decals removed and new original white Sunseeker decals adorned the sides. A new Livorsi steering wheel found its way in as well. The bezels on the old gauges were painted to match the yellow on the boat and the switchboard was replaced by a custom made acrylic one. On the mechanical side of things, the Volvo Penta stern drive benefited from a new drive rubber bellow (it should be changed every few years and no one knows how old it was. In went new oils & other lubricants. The carburetor got some tuning as well to get the engine idling smoother. The engine bay side vents were old and beaten, so they were changed to new and shiny SS versions. Before dropping into the sea, antifouling paint was painted to the areas that sit under water. White vinyl wrap freshens up the old dull dash along the painted gauge bezels (still with the old steering wheel). New white side decals and stainless steel side vents. The boat needed a good wash before dropping it in to the water. Now she was ready for the summer of 2012. 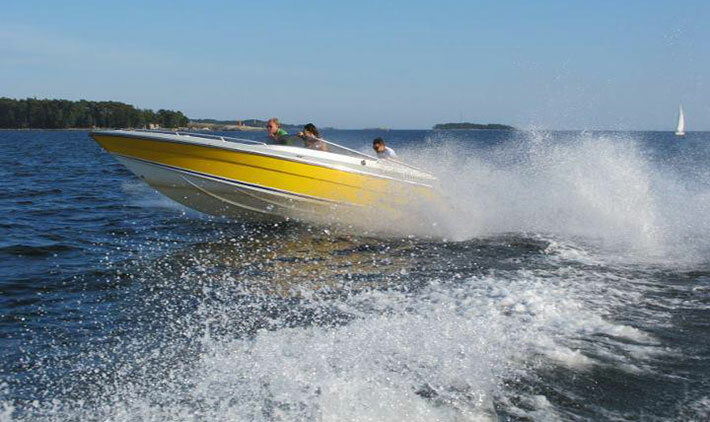 THE TURNING POINT – I OWN A BOAT! 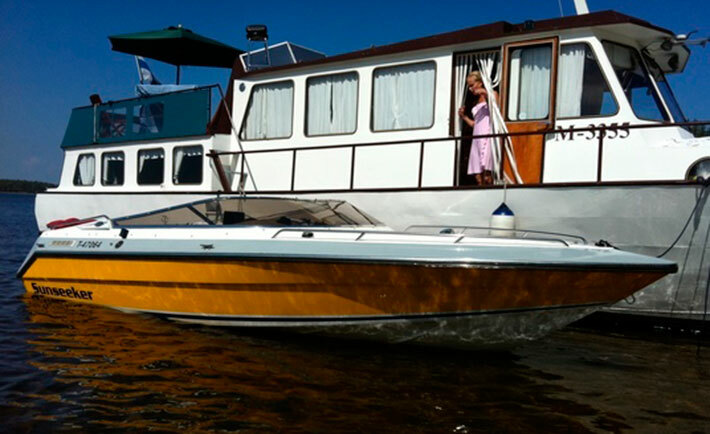 In July I got a call from my friend to tell me that the ownership of this boat had chanced hands – And would I be interested to partly own this beast? It took me a nano second to say YES! After a few arrangements I was a happy captain of this little beast. The 50/50 deal keeps the running costs down = WIN WIN! Turned out my buddy had just bought some new parts for the boat, so I got in on the “build party”. 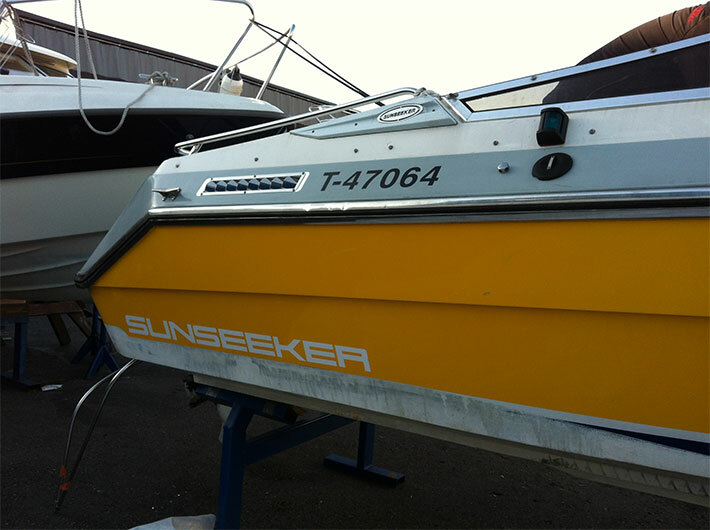 I thought it might be interesting to post it here as well – let the build thread of the Project Sunseeker begin! To to remind myself why to keep on pushing through the project, is this vid we made during summer of 2011, enjoy!